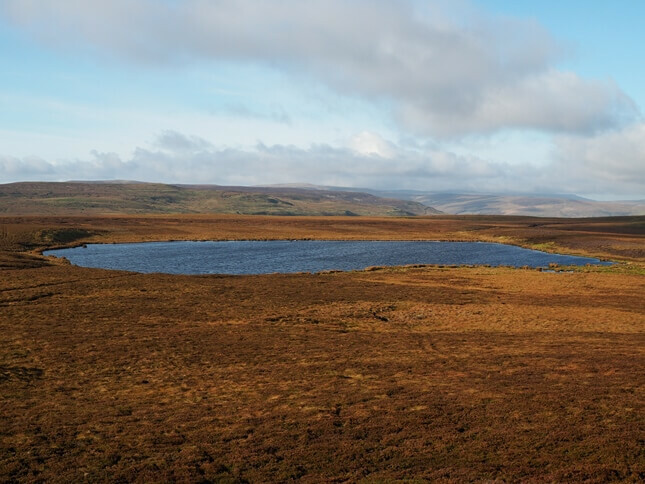 Tarn Seat is a moorland top to the west of the high road between Askrigg and Reeth as it crosses the watershed between Wensleydale and Swaledale. 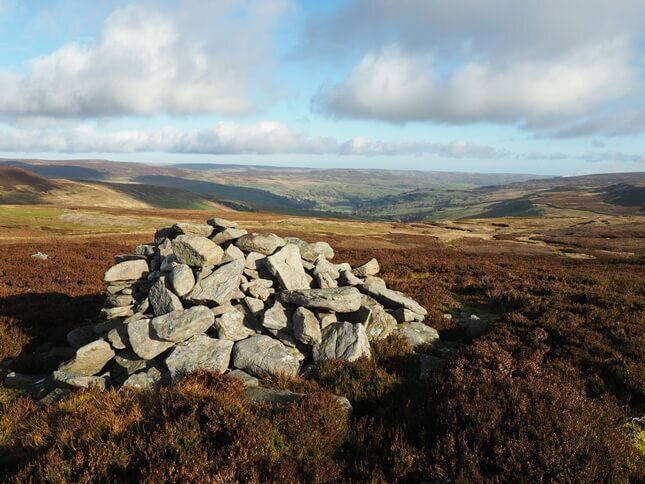 The Database of British Hills lists two alternative names for the fell – The Fleak and Conny Tammy Currack. The latter is curious as it appears on the Ordnance Survey’s Landranger map but not on the more detailed Explorer map. Conversely Tarn Seat is used on the Explorer map but not the Landranger map. Personally, I’ve always thought of the hill as The Fleak. This is the name I called it when I first visited the summit in 2007. 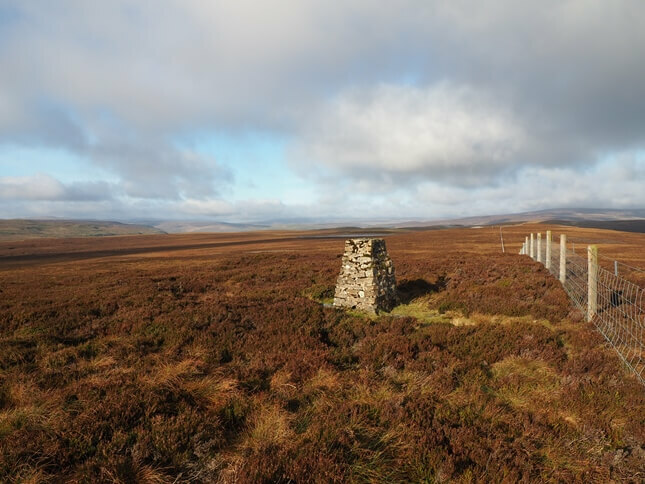 It is worthwhile noting that the trig point that adorns the summit is listed on the Ordnance Survey database as The Fleak. One wonders who actually decided on which name to give it when compiling the Database of British Hills. Regardless of what it is called it is fair to say that it is one of the least shapely fells in the Yorkshire Dales. 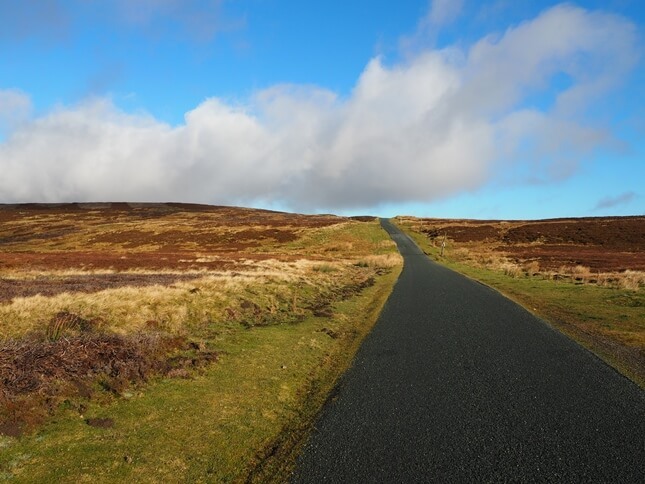 It is really just a wide, fairly flat swathe of moorland sandwiched between the Askrigg to Muker and Askrigg to Reeth roads. Whilst many of the fells in the Dales have some feature to allow it to be identified from a distance Tarn Seat does not. 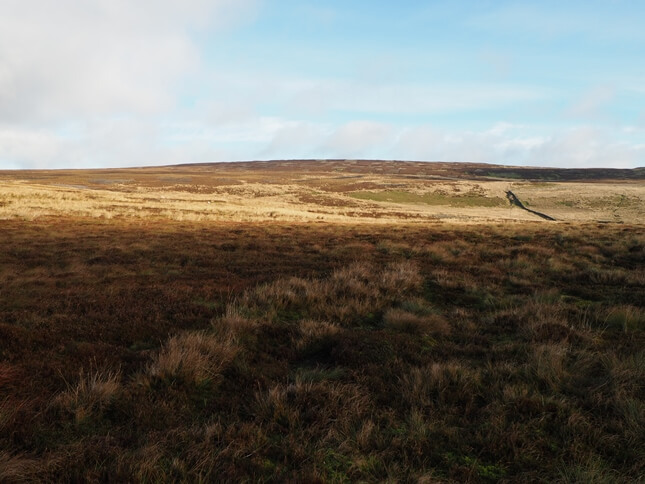 Basically if you can identify Oxnop Common to the west and Pickerstone Ridge to the east then Tarn Seat occupies the space in between. 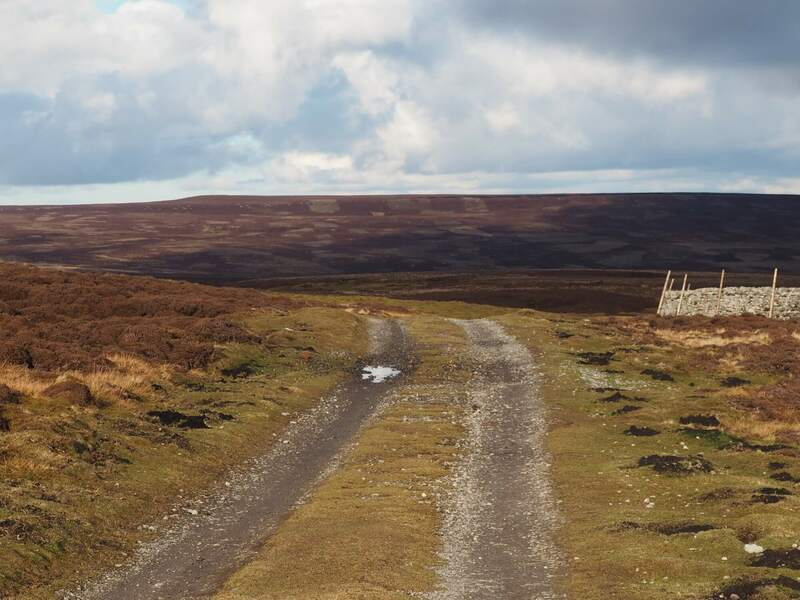 There are no real paths crossing Tarn Seat but fortunately it is quite easy to reach from the cattle grid at the top of Long Band, the road running between Askrigg and Reeth. For those wanting a very short walk there is a space to park a few cars alongside the road just below the brow to the south of the cattle grid. From the cattle grid it is a simple case of following the south side of the fence as it heads west. I’ve used the words ‘easy’ and ‘simple’ but this is more in relation to the negligible height gain and the time it takes to reach the top. 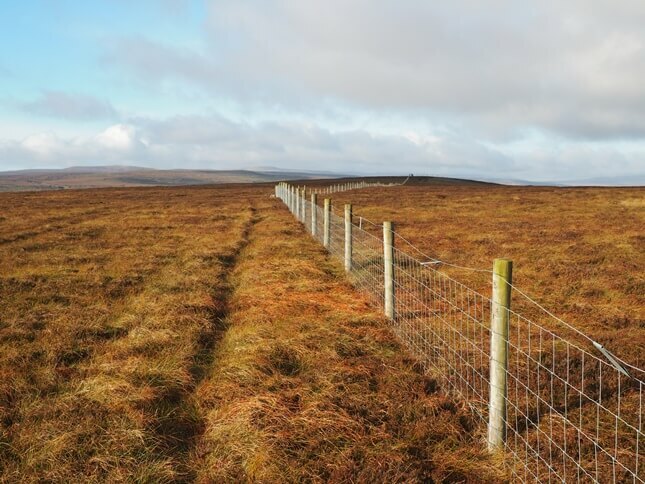 In reality the ground underfoot half mile walk along the fence is quite rough and a number of boggy areas have to be negotiated with care. As mentioned the summit is marked by an Ordance Survey trig point. So far I’ve not made Tarn Seat sound that enticing. One of its saving graces is the extensive view from the summit. 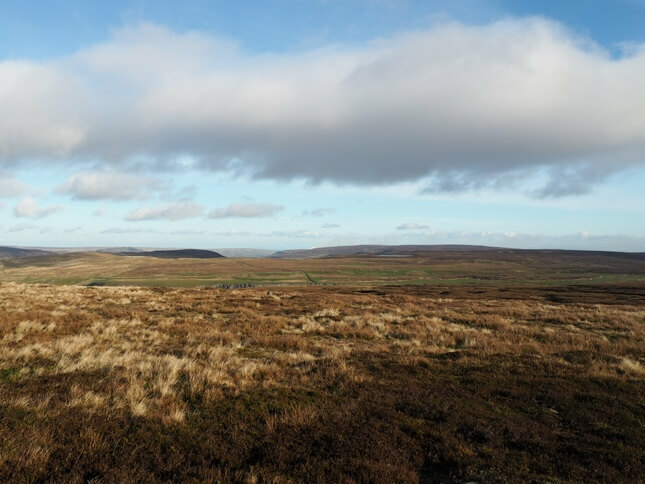 It is a view of great distances with moorland stretching away for miles in all directions. Eyes are most likely to be drawn though to the sight of Summer Lodge Tarn to the north-west. Indeed anyone visiting Tarn Seat should really visit Summer Lodge Tarn, after all that is why the summit is called Tarn Seat! Between the summit and the tarn a couple of interesting features are passed. 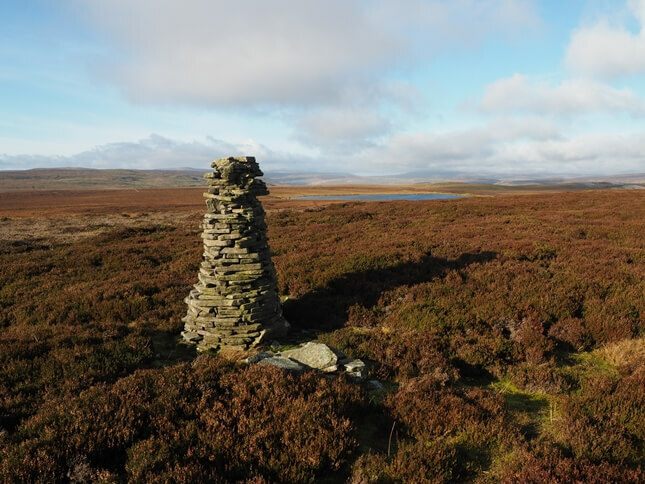 The first of these is the finely constructed cairn which is labelled as a beacon on the Ordnance Survey map. 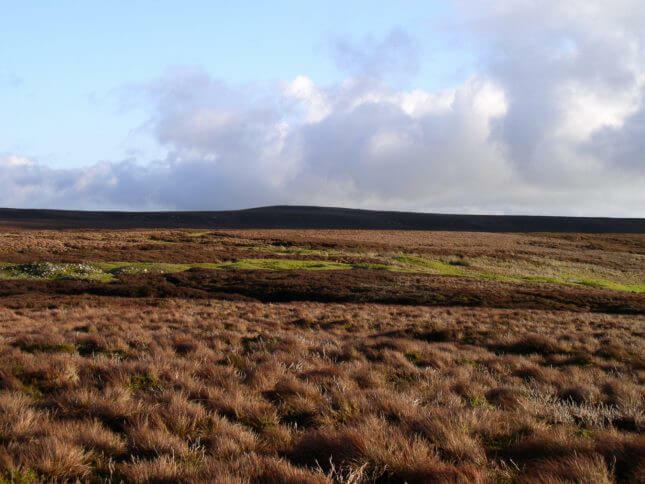 Presumably it is part of the same chain of beacons as the one on Oxnop Common the next moorland summit to the west. Passing the beacon you come to the tip of a small heathery ridge called Tarn Rigg. On the other side of the fence corner is Tarn Currack, a cairn that seems to be gradually falling down. From Tarn Currack there is a grand view down into Swaledale. 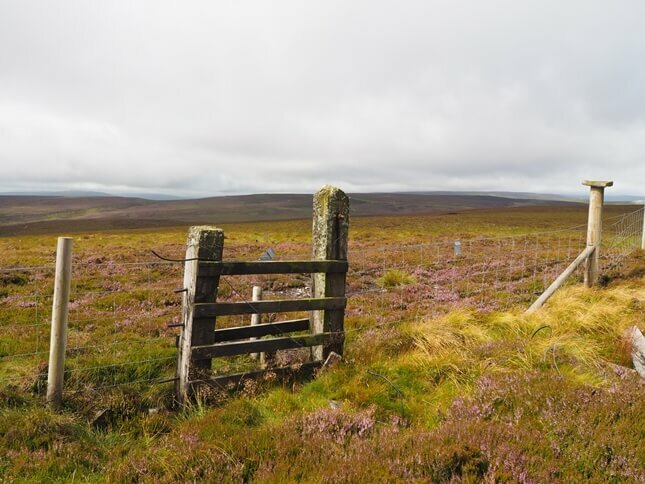 From Tarn Currack it is now just a few minutes to Summer Lodge Tarn by following the fence left and passing through a gate. Summer Lodge Tarn is one my favourite tarns in the Yorkshire Dales, all the more so because few people visit it. Another tarn, Satron Tarn, can be found just under half a mile to the west. Between the two tarns are the remains of the Beezy Lead Mines. Largely to be found to the south of the fence these can be spotted as bright green bumps surrounded by heather. Presumably they were once patches of limestone that have been quarried for stone.